John Buchan (1875-1940) was a Scottish writer, barrister and politician—Governor-General of Canada between 1935 and 1940—who wrote prodigiously. He was known in particular for his adventure novels, above all those spy novels featuring Richard Hannay, which started with The Thirty-Nine Steps (1915), set in a world just about to embark on the Great War. His Hannay novels were, according to John Clute in the Encyclopedia of Science Fiction, “tales whose dreamlike narrative cohesion, and magically-apt coincidences and timings, lift them so far from the mundane that they are best read as contributing to the larger world of Fantastika as a whole.” His only proper science fiction novel is The Gap in the Curtain (1932), in which members of the British upper classes are given a glimpse of a copy of the London Times from one year in the future. There are other novels by Buchan which are close to the fantastic genre; but there are also various short-stories which are fantasy: some of these have been collected in The Far Islands: and Other Tales of Fantasy (West Kingston, Rhode Island: Donald M Grant, Publisher, 1984). Buchan was born in Perth, in Scotland, the son of a Free Church of Scotland minister. At the age of 13 the family moved into Glasgow, when his father was called to a church in the Gorbals. He studied classics at Glasgow University, but did not complete a degree; instead he moved on a scholarship to Brasenose College, Oxford, where he did extremely well. He was already publishing novels. He qualified as a barrister. But in 1901 Lord Milner, high commissioner in South Africa, asked Buchan to help him in the reconstruction of South Africa after the Boer War (which was actually still going on). He also acted as legal adviser to Johannesburg Town Council, on a colossal salary. On his return to England he continued at the bar, and writing; in 1907 he married the grand-daughter of Lord Robert Grosvenor in a big society wedding. He worked for the Edinburgh publisher Nelson’s. He was adopted by the Conservatives as parliamentary candidate for the Peebleshire and Selkirk constituency. In the summer of 1914, as a relaxation during a period of stress and illness, he wrote a novel called The Thirty-Nine Steps. Buchan caught the tone of Edwardian and inter-war English public life, the anxiety which accompanied complacency, its instinctive antisemitism, its male, public-school culture. His imperial novels are a pastiche of that culture and of the fiction it encouraged; their force in part derives from the fact that they are written against the grain of Buchan’s inherent liberalism. Buchan was much blamed subsequently for élitism and antisemitism: the charge derives from these novels and fails to recognise their intention of pastiche, even of parody (and latterly self-parody). As the preface to The Thirty-Nine Steps makes clear, Buchan adopted a conscious pose when writing his shockers. His other work is written in a quite different voice. Buchan himself celebrated the Great War as a great destroyer of class barriers and of a “shoddy gentility“; although he became a Conservative MP for a Scottish university seat, he was perfectly happy to befriend Ramsay MacDonald, the first Labour PM. In 1935, MacDonald recommended Buchan for the post of Governor-General of Canada. For a brief while in 1935 he was Sir John Buchan; but soon he became The Right Honourable the Lord Tweedsmuir of Elsfield, and, as far as Canada was concerned, His Excellency the Right Honourable the Lord Tweedsmuir, Governor General and Commander-in-Chief of the Militia and Naval and Air Forces of Canada. 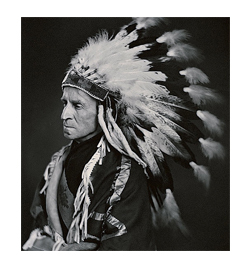 He took his responsibilities as Governor General very seriously, travelling all round Canada, and writing a novel, Sick Heart River (published posthumously in 1941), which showed an exceptional (for the times) sensitivity to both the Canadian First Nations and the Québecois. In 1936 he arranged the first visit of an American President to Canada; in 1939 he arranged George VI’s visit to Canada, the first tour by a reigning monarch of one of the dominions. Following a parliamentary decision, he declared that Canada was at war with Germany in September 1939, one week after Britain’s declaration. The royal tour was physically exhausting for John Buchan/Lord Tweedsmuir: he had a stroke in January 1940, and died in Montreal in February. His ashes were buried in Elsfield, Oxfordshire. My information comes from H.C.G. Matthew’s entry in the Oxford Dictionary of National Biography, supplemented by the standard biography, Janet Adam Smith’s John Buchan (1965). He was never ‘Sir John Buchan’, he was ennobled straight to Lord Tweedsmuir. I’ve never heard about Buchan’s ‘colossal salary’ when he worked for ‘Johannesberg Town Council’ : where did you get that from? He wasn’t an Nelson’s editor, he was their ‘literary advisor’, meaning their London rep and eventually a director of the firm. He began The Thirty)Nine Steps in August 1914 to keep his mind off the fact that he was stuck in bed convalescing when war had just broken out, and he couldn’t plunge into the political fray to keep abreast of what was happening. He was also working hard to generate new business for Nelson’s in case their sudden loss of German contracts would lead to layoffs. The best SF short story I’d recommend by Buchan is ‘Space’ (1910), which is uncharacteristically metaphysical. His outstanding fantasy short story is ‘Ho! The Merry Masons’ (1933), which is very, very Poe. Or maybe Lovecraft: I’ve never been able to decide. Thanks so much for your comments on my Buchan entry in the “SF and Fantasy Writers in the Great War” site. I shall make necessary adjustments! The “colossal salary” was my comment on the fact that he was paid £2000 per year for his work on the Johannesburg town council, according to the Oxford Dictionary of National Biography, which IS a colossal salary by the standards of 1901. According to the National Archives, average salary in Britain in that year was £42. Admittedly, the director of the Midland Bank in 1901 earned £5000: but, then, he was not a young man of 26, and the Midland Bank was one of the largest financial enterprises at the time.